Join the Australian Chapter of the International Institute of Communications, and colleagues from across a range of sectors, to discuss the introduction of Australia’s consumer data right that will be rolled out in Australia’s banking sector in 2019, followed by the telecommunications and retail energy sectors. This right will give consumers and businesses access to their data and allow them to share it with trusted entities to facilitate the provision of services to the consumer such as comparison and switching services. This seminar follows the IIC’s successful Telecommunications and Media Forum in Sydney in July where Peter Harris gave a Productivity Commission perspective on the data right in his published speech. With insights from Dr Bill Roberts, Head of Open Banking at the UK Competition and Markets Authority in relation to the implementation of the UK’s open banking regime (pre-recorded). By 2020 the number of IoT connected devices globally is expected to be 30 billion, and this is forecast to grow to 100 billion by 2025. By 2025 the IoT market could be generating revenue close to USD 10 trillion. IoT Impact is a two-day learning campus for Australia business executives and IOT practitioners to understand and plan for the impact of the Internet of Things in Australia. Communications Alliance Members will receive a 10% discount. Contact us for your promotional code. The International Institute of Communications event that brings together local and international regulators, industry, academia and civil society to share views on the role of regulation in today’s world – with local and international speakers and delegates providing comparisons and regional experiences. 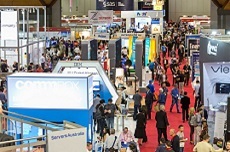 IoT Australia Summit is the new one day conference on all things Internet of Things. To showcase network and service solutions from telcos who are servicing the needs and requirements of Internet of Things users. To identify the use cases for the Internet of Things across significant industry verticals in the Australian economy . 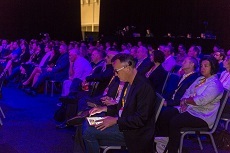 Our one day summit will feature keynotes from the assistant minister for cities, Angus Taylor (invited) as well as peak officials from the Internet of Things Alliance Australia and Communications Alliance. Much of the event will be made up of panel sessions employing a free flow exchange of ideas and opportunities for audience participation. 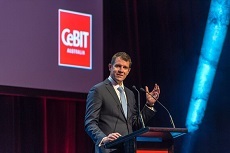 CeBIT Australia is Australasia’s largest business technology event, and in 2017 it will be taking place in the brand new International Convention Centre in Darling Harbour Sydney. This year’s program features conferences covering the latest in Big Data and Analytics, Cybersecurity, Cloud Technology, FinTech, Enterprise Mobility, Digital Health and eGovernment. Receive $100 off our 3 Day Conference Pass or a 1 Day Conference Pass with the promo code CA17.